You are probably selling high-quality products in the market at very reasonable prices. However, the members of the target audience in this environment should be aware of this fact. If this is not the case, you won’t receive the kind of rewards you expect for your hard work. You have got to remember that communication is an essential aspect of marketing. This is where SMS marketing and group messaging comes into the picture. Why invest in SMS Marketing and Group Messaging? In recent years, there has been a proliferation of smartphones in the global market. Consumers have many famous brands to choose from. Recent research in this field shows that over 2.1 billion people around the world own such devices. Such individuals are more likely to carry their mobiles wherever they go on their computers instead. They can read the text messages on their phones even in remote areas where internet is not accessible. Furthermore, studies also show 83% of them glance through such information within the first 90 seconds. Many experts expect this trend will continue to increase in the coming years. However, such statistics may not come as a surprise to you. After all, you probably do the same thing. You may be wondering how you are going to exploit this consumer behaviour to ensure your business’ growth. It is through SMS marketing and group messaging. In SMS marketing, you are sending out a text message to many people at the same time. These are the individuals who constitute your target audience. You are providing them with relevant information about the products you are offering to sell them in the market. Moreover, you are not spamming them. Such consumers permit their mobile service providers to transmit such messages to their smartphones. The coverage of this unique mode of advertising has a far greater reach than the visual media. Moreover, entrepreneurs don’t have to dig deep into their pocket to use it. It is available at a fraction of the cost of traditional marketing channels. You are at liberty to keep close track of the relevant delivery rates. You can even take steps to boost client engagement. With time you become aware of whether it is advantageous to use long-code SMS messages or short ones. Why is Group Messaging relevant to your Business along with SMS Marketing? You should never underestimate the importance of group messaging to motivate employees who constitute your marketing team. It can help them achieve their individual goals in the areas they operate. This helps to boost organization’s sales in the long-run. You will probably notice the effect of this trend on your bottom-line revenue. Moreover, you can achieve all this by sending a single text to your workforce on their mobile phones. These workers will receive such information wherever they are. This is the reason why you need also focus your attention on group texting. This is a fact which you cannot afford to ignore at any costs. Email marketing is beneficial in promoting your brand products in the market. However, it is time-consuming. You need to sit down to compile a 600-word message and sent to each of your clients. This is a luxury which you may not have. On the other hand, you can convey the same information to many people simultaneously using SMS marketing. For this, you need to type out a text of 140 characters and send it. You can expect the same response from your target audience. In some cases, the results from the advertisement campaign can exceed your expectations. Not everyone has the time to open the inboxes of their emails and go through the unread messages. This is not the case when you decide to use SMS marketing to promote your brand products. Statistics reveal that 99% of smartphone owners browse their devices within 3 minutes of receiving a text message.This is a very high open rate. In the case of email marketing is only 33%. You can expect a higher conversion rate in the case of SMS marketing than emails. This is because most people are likely to read messages on their smartphones than their inbox. Even research shows that this advertisement channel has a conversion rate of 8.22%. On the other hand, it is only 1.73% in the case of email marketing. You can get a better insight into your customers with SMS marketing. They are likely to respond to a survey you may launch on their devices within just 5 minutes. This type of feedback may be necessary to determine the popularity of the products you are selling.It helps you to formulate the next course of action or make relevant adjustments. Businesses of various sizes go out of their way to promote their brands in the market. Moreover, they want to communicate with their customers in a personal way without being invasive. SMS marketing helps you to achieve this vital objective. This helps to boost engagement. You are sending out a message to your clients that you are aware of the potential of modern technology. To them, you are tech savvy and are willing to use the new trend to reach out to them. 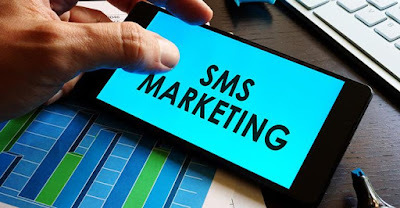 The above five advantages prove that SMS marketing and group messaging can work wonders for your business and brand. You can reach out to a large number of people who constitute your target audience within a short time. Moreover, you don’t have to dig very deep into your pocket to get the kind of results you expect. No other advertisement channel can achieve this feat.